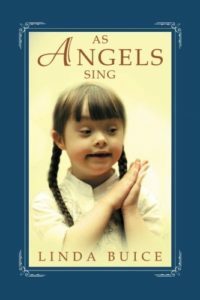 As Angels Sing by Linda Buice is a wonderful contemporary novel about second chances. God is the God of restoration. He can restore the lost years. Sometimes life can make us bitter and we turn from God. “I stopped believing in God a long time ago.” God never stops believing in us. He longs to welcome the prodigals home. People work hard to fill the gap in their lives. “Something is always missing.” They think work, money, parties or pleasure will fill the hole. They do not realise it is a God-shaped hole that only He can fill. The novel has a wonderful little girl with Downs Syndrome as its focus. Linda Buice shows how we are all unique and special to God. We all have our own giftings. It is beautiful to see the child like faith in action.